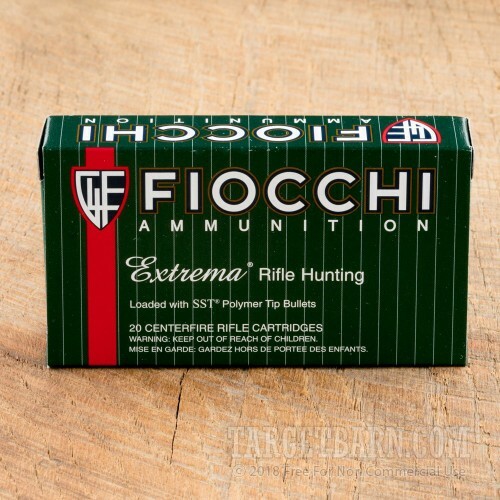 An effective taker of deer, boar, and a wide variety of other game, this .308 Winchester ammunition from Fiocchi is a dependable companion to your hunting rifle. Each cartridge in this box of 20 fires a 150 grain Hornady SST polymer tipped bullet at 2,860 feet per second. 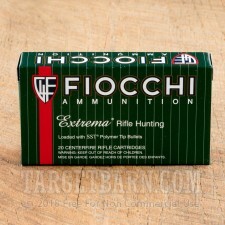 The polymer tip aids in the expansion process as well as improving the ballistic coefficient. Long range shooters will be glad to know the bullets feature a boat tail for improved resistance to crosswinds. 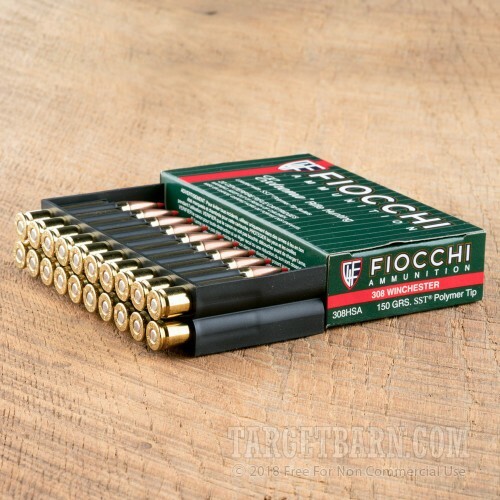 This ammo is loaded by Fiocchi of America in Ozark, Missouri using non-corrosive primers and brass cases; the bullets are made by Hornady in Grand Island, Nebraska. 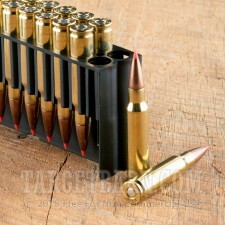 Q: What is the G1 and G7 ballistic coefficient for this ammunition ? 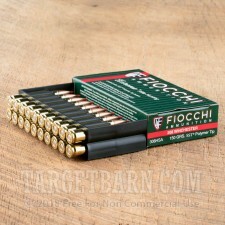 A: Unfortunately Hornady does not provide G7 BC data on their website the G1 however is listed at .415.